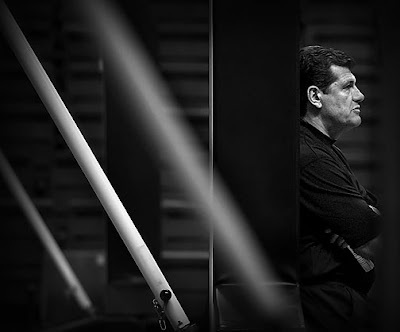 2:35:34 PM: UConn Women's Basketball Coach Geno Auriemma watches his team practice in Gampel Pavilion. I love the angle of this shot! But it's a little creepy of just the guy watching like that! Did you take this photo in 2023?